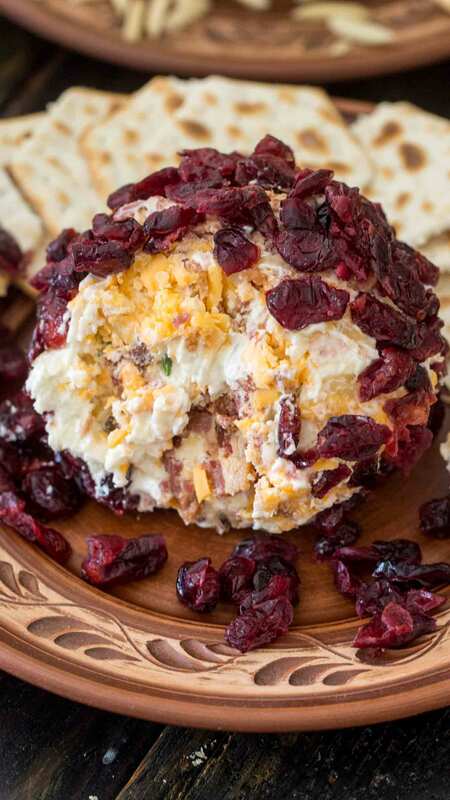 Cheese Ball made with creamy goat cheese, crispy bacon crumbs, fresh green onions, sharp cheddar cheese and covered in sweet dried cranberries. The Cheese Ball would make a delicious and filling appetizer. 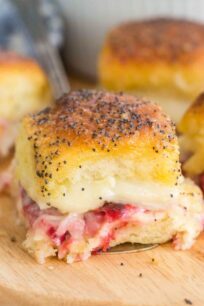 For more interesting appetizers, I would recommend Best Million Dollar Dip and Cheese Jalapeno Ham Sliders. 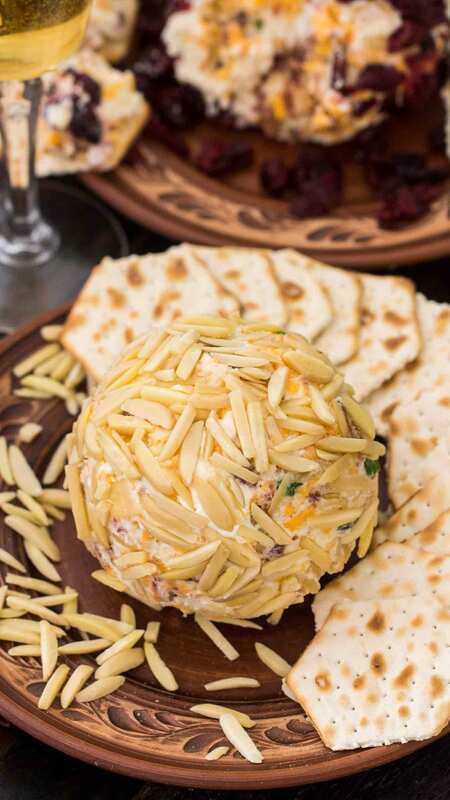 Cheese Ball covered in sweet cranberries or slivered almonds, is the perfect party appetizer. A burst of flavors and textures are captured in this cheese ball recipe, that will disappear in minutes, so you better make two. This is one of the easiest and most delicious appetizers you can make. 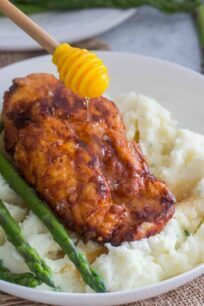 Also, it is highly versatile, you can use your favorite cheese combos and mix-ins. You can make it more on the sweeter side or savory if you want. A mixture of dressing mix and usually cream cheese, cheddar cheese shaped into a ball. The ball is rolled into chopped nuts or dried fruits like cranberries. Refrigerated and covered until ready to serve with crackers. How do you make an easy cheese ball recipe? Cheeseballs are usually very creamy, so you have to combine cream cheese, mayo or dressing with a harder cheese, like cheddar cheese or parmesan. You can also combine cream cheese with goat cheese, or creamy blue cheese. After that you add your mix-ins, like bacon, dried fruits, nuts and green onions. You shape the mixture into a ball, add chopped nuts onto a plastic wrap and then roll cheese ball in the nuts. Roll up into plastic wrap and refrigerate. Which cheese to use for cheese balls? Blue Cheese – I like St. Agur Blue Cheese, a unique and intense Blue cheese with a smooth buttery finish and rich in butterfat (double crème). You can find it at Whole Foods, TJ, Harris Teeter, Publix, Winn-Dixie etc. Goat Cheese – I like Ile De France Goat Cheese, a traditional fresh Chevre from Poitou Charentes, using only the freshest goat’s milk in the region. You can find it at Harris Teeter, Publix, Shoprite, Albertson. Sharp Cheddar – adds a delicious nutty flavor. Smoked Gouda – creamy and smoky! Feta Cheese – you can even use the one with herbs for extra flavor. I would not recommend doing so, the cheese ball can be refrigerated for up to two weeks, but for best flavors and textures, it is best to serve it, a few days after preparing it. Refrigerate covered in plastic wrap, so the cheese keeps its moisture and doesn’t dry out. Always consider the expiration dates of the cheese that you used. If you used fresh herbs, like green onions, that will shorten the storage period. What do I serve a cheese ball with? Usually all you need is a pretty plate and some crackers. However, to make the most of it, I recommend a variety of crackers. 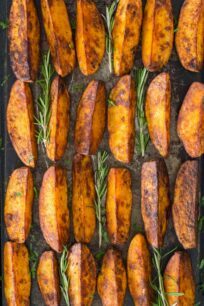 Such as with dried fruits, some with olive oil and sea salt, and some gluten-free crackers, so your guests have options. Also, I like to add fresh fruits: grapes, apple slices and melon. A variety of dried fruits: figs, cranberries, papaya, candied orange slices. In addition, a mix of dry nuts and honey. What wines can I serve with a cheese ball? Légende Rouge – in this wine elegance meets affordability, it pairs well with beef, lamb, duck and hard-aged cheeses. Légende Blanc – perfect balance of alcohol and acidity, and very exuberant aromas. Pairs well with fruits, especially mango, fish and shellfish. In a large bowl, beat cream cheese, cheddar cheese, blue cheese and garlic until blended. Stir in bacon, chopped onion and slivered almonds. 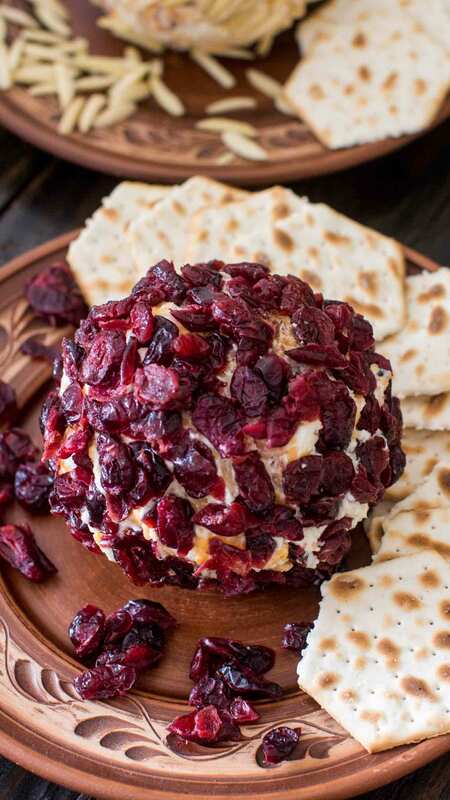 Place a plastic wrap on a flat surface, add the dried cranberries or nuts onto it, roll the cheese ball so its all covered in cranberries or nuts. Wrap in plastic wrap, chill until firm. Refrigerate up to two weeks. Serve with crackers. Recipe makes 3 cheese balls, 1 cup each. A cheeseball and glass (or three) of wine is pretty much my ideal dinner. This is beautiful and I LOVE the variety of cheeses in it!! OMGosh! This cheeseball has my mouth watering! 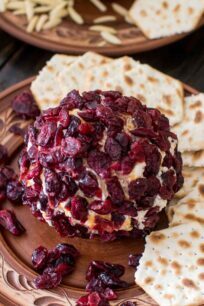 It is one of the best cheese balls I’ve seen and I’ve never seen one with cranberries! I love that you included a selection of wine, which makes a great pair to the cheese ball. Criminy this looks and sounds PERFECT!!! I mean I have not used the word criminy since my grandfather was alive and I think it was he who used it last but that is what came to mind lol. I mean seriously you have included all my favorite things into one recipe and I DO love cheeseballs and wine! Wow, these look super yummy! 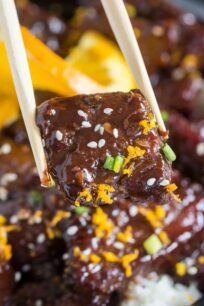 This recipe sounds like the perfect snack for a party, especially for the holidays. I have never made a cheese ball before but your instructions make it sound so easy. OMG! This looks amazing. I plan to cut dairy out of my diet this year *say a little prayer for me* but I HAVE to try this out. It has all my favourite things. In any gathering where I’ve seen a cheeseball as an app, I always find people commenting about it. It’s definitely such a fun item to have at parties. 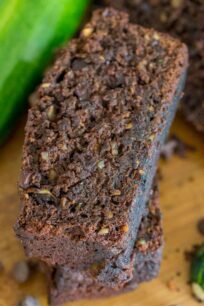 This recipe sounds simple to follow and it looks delicious. Good to know that you shouldn’t freeze them. Well hello lover! This looks amazing!!! I love cheese but I have never had a cheese ball recipe like this. I need to host a party soon so I can make this! YUM! Yesssss, cheese and wine….lol! I love cheese balls but, I can not get my kids to eat them. 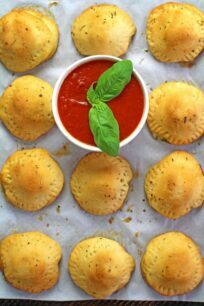 I may try and create these for game day for when the fellows come over. We love goat cheese also! Wow! I happen to love cheese. There’s no school or work tomorrow. 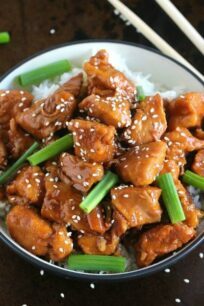 I have to make this recipe. The Georges Duboeuf Pouilly Fuissé 2015 sounds more my type of wine. I’m excited to try it out and just lounge at home. Cheese and wine is such a great combination. 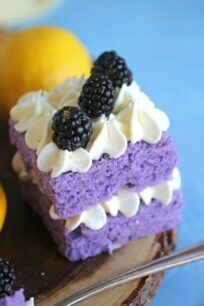 It looks absolutely delicious. 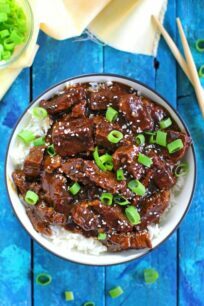 I am going to save this recipe and give it a try. Thank you so much for sharing!